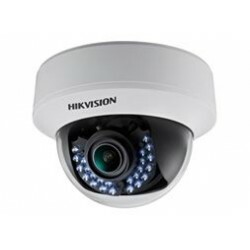 Hikvision is the world’s leading supplier of video surveillance products and solutions. Featuring the industry’s strongest R&D workforce, Hikvision uses its state-of-the-art manufacturing facilities to design and develop innovative CCTV and video surveillance products. The company’s complete product suite includes Smart IP cameras, HD analog cameras, speed domes, NVRs, DVRs, video management software, access control and alarm systems, encoders, decoders, and other elements of sophisticated security systems and CCTV technology for any security need. Hikvision products serve a diverse set of vertical markets that includes retail, banking and finance, transportation, education, commercial, government, and residential applications.